Raffaele Rizzi is a new talent that is quickly riding the scene. Since his first appearance on Ketra records he improved day by day his style, finding his own concept of Techno and Tech House. Whether djing or productions, his music is marked out by powerfully grooves and dogged rhythms. In 2011 the label Alchemy, of the superstar DJ Mauro Picotto, releases “the other side of me”. The 2012 is full of new bets and beats among these “Offside Ep” / Loose Records, “Kymera EP” / Alchemy. After many good feedbacks and supports, the 2013 sees new labels and collaborations follow one other: 1605, Alleanza, Beat Therapy, Bla Bla, MKT, Deeperfect, Bitten, KD Music, Agile. 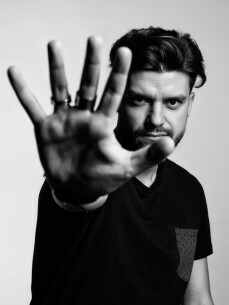 From 2014 he released on very respectable labels like: Tronic, Analytictrail, Toolroom, Transmit, 100% Pure, Bitten, Octopus, Intacto and his tracks included on several interesting compilations.